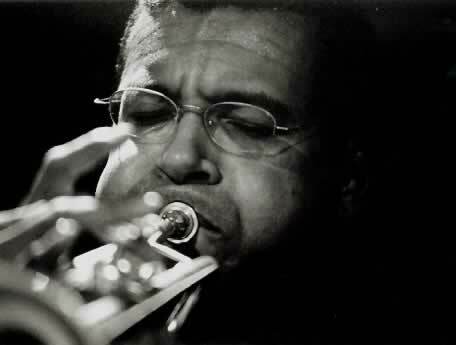 Born in Munich, Germany on May 25, 1963 Claus Reichstaller began playing the trumpet when he was nine years old. At age eleven he won a first prize in the contest for classical music "Jugend musiziert". 1980 he started his four-year classical music education at the "Richard-Strauss-Konservatorium" in Munich. Claus gained further musical experience with the named trumpet players Benny Bailey and Al Porcino. Later, after a hitch in the air force, he played with Harald Rüschenbaum Sax & Brass, Al Porcino Big Band, Composers Improvisation Orchestra, Conexion Latina and various other formations to develop his playing. In 1989 Claus joined the Paris Reunion Band. He got the chance to play with jazz-giants like Nathan Davis, John Handy, Kenny Drew, Curtis Fuller, Bill Hardman and Jimmy Woode. On the European Tour ´89 they recorded the album "Live at the Moonwalker" where Kirk Lightsey replaced Kenny Drew and Nat Adderly came to complete the band. The producer Mike Hennessey wrote on the album: "And to replace the late Woody Shaw we were lucky to discover a fine trumpet player from Munich - Claus Reichstaller- a recommendation of Peter Herbolzheimer and a former pupil of another PRB alumnus, Benny Bailey. Claus has distinct echoes of Woody in his playing. "Ê His engagement with each of these giants has provided him with a lot of education. 1992 Claus won the National Jazz Award Förderpreis für junge Künstler. One year later he started teaching trumpet at the Richard-Strauss-Konservatorium. Since then he is performing with his own group Conception together with Axel Kühn. They have already two CD's on the market (see discography). Claus is known as an open-minded musician. The young trumpeter takes also part in lots of different recordings and performances.